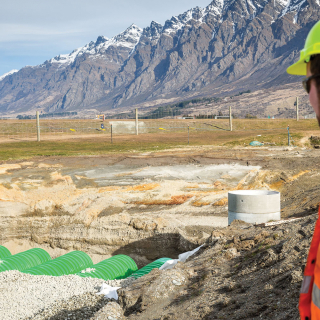 The Five Mile retail development site is part of the rapidly expanding Frankton Flats development in the Queenstown. 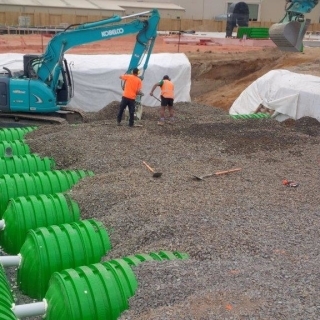 Constructing such a massive commercial development on silty soils meant it was essential to utilise a proven stormwater management system. When LIC (Livestock Improvement Centre), a rapidly expanding farmer-owned co-operative and an employer of 2000 staff needed to grow its Head Office Carpark in Newstead Hamilton, there was no option other than to develop the space where the current stormwater pond for the site was situated. 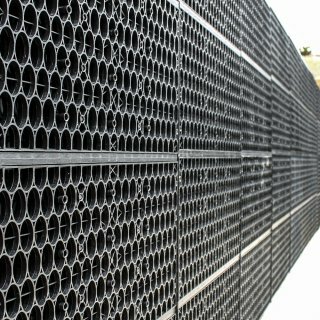 Stormwater was directed through the RainSmart system to the lower parts of the development, and when it filled the lower pipes the excess water was able to flow back into the RainSmart tanks through perforations in the through pipes. The Developers of this 1.06 Ha Commercial Development needed a comprehensive stormwater system to mitigate the effects of the runoff from the proposed low rise sub-urban commercial and retail centre. 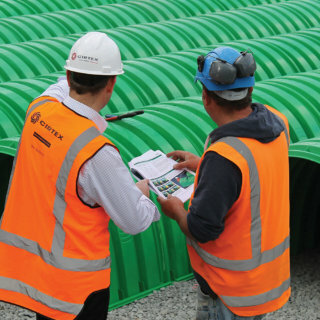 Cirtex supplied the tanks in CKD form to save freight costs and the contractors assembled them at their premises to save time on site. 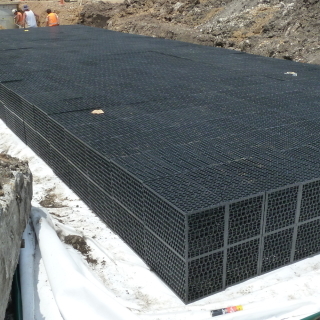 Installation is simple with clear instructions, and the RainSmart® system does not require large quantities of aggregate to facilitate the design such as tunnel systems do, further reducing costs on site. 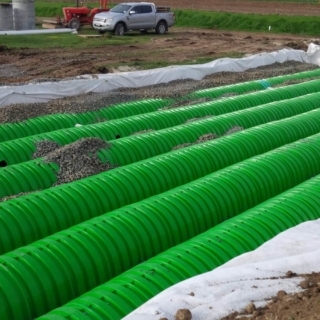 This large RainSmart quad tank system was required to attenuate the Stormwater from a new subdivision in Albany. 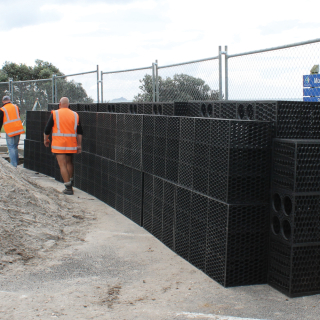 This development is just out of Cambridge at Hautapu and included a large impermeable surface which required a comprehensive stormwater system to meet the Waipa District Council requirements for the stormwater to be stored on the site.